Stocks have had a stellar year so far. In fact, the rally has gotten so heated that some investors are making bets on a big crash. Universa Investments, which spends hundreds of millions of dollars a year buying crash protection, has attracted a record amount of money into its fund this quarter. "People are starting to recognize that these market moves are unnatural and distorted," said Universa president and chief investment officer Mark Spitznagel, who declined to say how much is spent on crash protection, citing SEC rules. Universa's view that a crash is coming is not widely held, making crash protection cheap, he said. Universa buys this protection in the form of options that generate huge returns when the stock market falls by more than 20%. 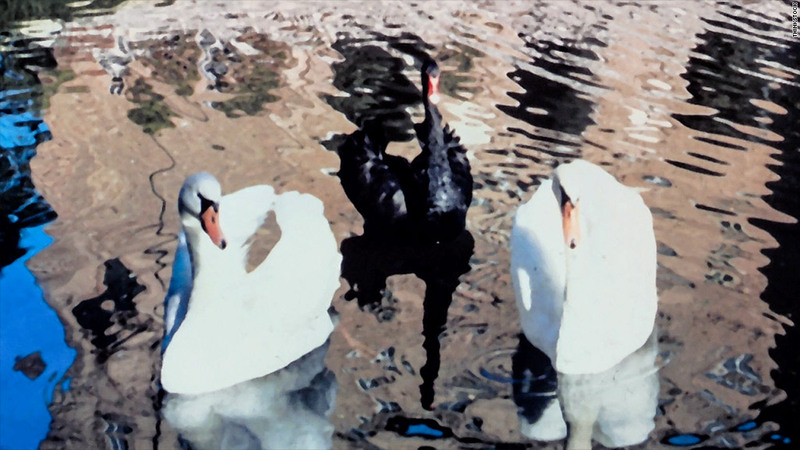 Universa's adviser, economist and former derivative trader Nassim Taleb calls it 'black swan' hedging. That's apropos considering Taleb coined the phrase 'black swan,' described as an unforeseen event that has an extreme impact, such as the 2008 financial crisis or Japan's 2011 nuclear disaster. Spitznagel says he's pretty confident that the market will crash, or fall by more than 20%, in the next six months -- a year max. The sell-off in Asian stocks Thursday, he says, is a "hint at what's going to happen." "I think there will be a lot of false starts before it does, and this may be one of them," said Spitznagel. Universa investors, mainly banks and pension funds, use the fund as an insurance policy to protect against a stock market crash. In 2008, when the S&P 500 dropped nearly 40%, Universa generated returns of more than 115% for investors, according to a source familiar with the fund's performance. Universa expects returns of at least 60% when the market is down 20%. Claude Bovet, who runs Lionscrest Capital, has been investing with Universa since it was founded six years ago. He says he has significantly increased his allocation in the past few months. "It allows me to be bullish. You can participate in all the upside of the stock market but without being complacent," said Bovet. Tail risk funds like Universa generally suggest that investors put 1% of what they put into stocks into these hedges. A fund that spends $100 million on equities would put about $1 million to $1.5 million into a tail-risk strategy. When the market is up, Spitznagel and his team try to limit losses. For example, in 2009, when the market gained 30%, Universa investors saw a bleed of only 4%. The Federal Reserve, with its massive bond buying program, is seeing its actions become less effective, said Spitznagel. The Fed, he says, can continue to forestall a crash but only for so long. "There are plenty of crazy things Bernanke can do," he said, referring to the Fed chairman. "But it will end badly." For Universa, a bad market is a good one.